Mace Bear Spray is specially formulated to be effective against an attack and yet will not cause lasting damage to the animal. One of the most exciting things about going on vacation is getting to see new things and visit new places. Unfortunately for those who enjoy going to more isolated areas, sometimes the animals in these spots can cause problems. This is where our Mace Bear Pepper Spray would come in quite handy! Mace Bear Spray contains 2.0% capsaicinoid concentration. 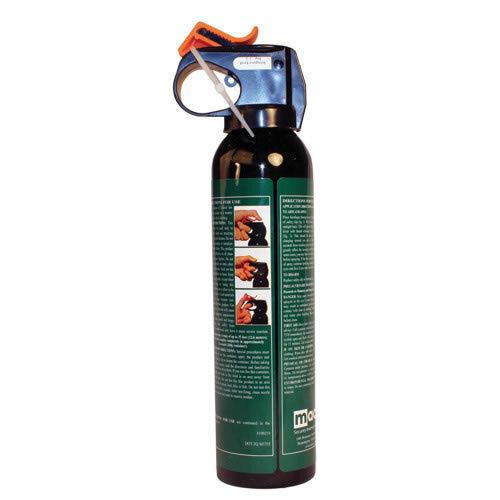 The powerful Magnum fogger contains 260 grams and empties in 6 seconds, delivering an extreme blast that reaches up to 35 feet! This produces a formidable wall that has an immediate effect upon a charging bear. country where bears can be a menace to tourists and residents. While attacks are quite rare, they still happen in certain areas of the country. Even though only a handful of people are attacked each year, despite the hundreds of thousands of these creatures, this may not be a comforting statistic if you are confronted by one. There are several schools of thought about what to do if you are confronted with one in the wild. Many people recommend lying down and playing dead, but most people disregard that as outdated advice. Some experts say that you should avoid making sudden movements, eye contact or loud noises and stand your ground if he or she runs toward you. On all almost all counts, however, the experts agree that bear spray is the best method of protecting yourself if you happen to come into close contact in a dangerous situation. The reason that pepper spray is so effective against them is that their nose is unusually sensitive; far more so than the human nose. They may have very weak eyesight, but more than make up for it with their sensitive sniffers. This means that when you spray and they breathe it in through their nose, it can have an immediate and devastating effect on them, giving you time to get away and get help. 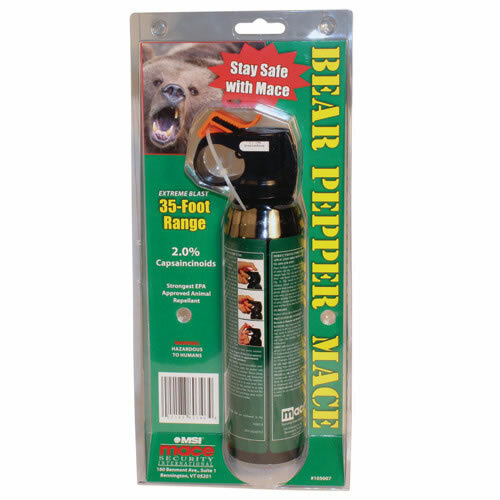 In addition, our Guard Alaska Bear Pepper Spray and this Mace brand are specially formulated to be effective against an attack and yet will not cause lasting damage to the animal. Many national parks and recreational areas that have these wild animals living there strongly encourage visitors to have some form of spray with them simply because it is the most effective method of protection. 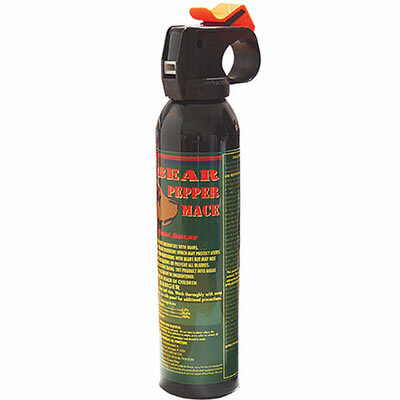 With this canister of bear pepper mace, you can spray them from up to 30 feet away which will keep you out of harm's way. Do not use this defensive option until you have no other choice, however, as you need to avoid angering them. Keep this product handy and follow the basic guidelines for outdoor safety. Preparing for a disaster can often prevent one.